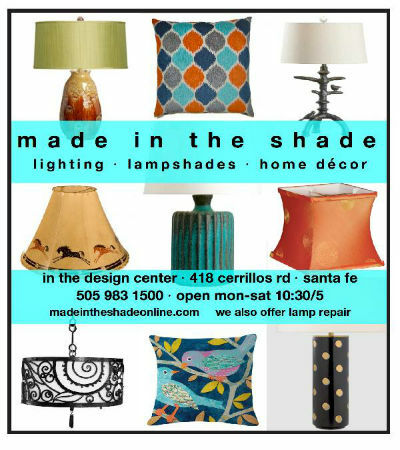 Santa Fe’s best source for Lighting, Lampshades & Home Accessories. We are a local store serving Santa Fe since 1999. At Made In The Shade we strive to provide you with the best service, highest quality & expertise. We have one of the best & largest collections of lampshades in New Mexico, reflecting a style and taste for everyone. Our shades will make your home smile. It’s your vision - we just help you achieve it - easily!